The only way to fight poverty is with employment. Trillions of dollars have been given to charity in the last 50 years, and they don’t solve anything. … To give 50 percent, 40 percent, that does nothing. There is a saying that we should leave a better country to our children. But it’s more important to leave better children to our country. His comment was in relation to the “Giving Pledge” promoted by Bill and Melinda Gates (that those with loads of money should give away half). Carlos has given a considerable amount already to the Gates Foundation. This was reported in the Wall Street Journal after Carlos’ comments in Sydney recently, and commented as a post on the blog Good by Patrick James. I don’t think it is a simple as saying he is right or wrong, or that rich people should give more because they have more to give. Ethically, can we determine how someone should use their discretionary money any more than we should with each of our time (the one resource we all have in common). Personally, I disagree with the proposition. We have confused the word ‘charity’ which is supposed to be a verb meaning to help others with its more contemporary use as a noun defining an organisational status. “A charity” doesn’t solve anything. People do. And how do people do this? Through charity. By being charitable, by showing love to others less fortunate than themselves. This is the only way to change the world. 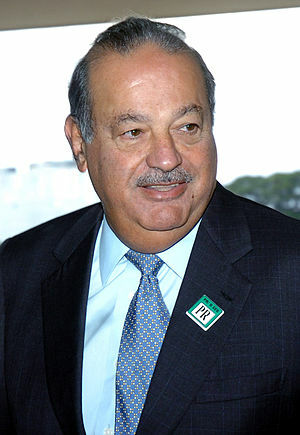 This entry was posted in Charity, Ethics, Extreme poverty and tagged Carlos Slim, Giving Pledge, Melinda Gates. Get Real. Have cause marketing campaigns lost their way?